A little malice in this Game between the top-seeded ’78-’79 Montreal Canadiens and the 12th-seeded ’74-’75 Philadelphia Flyers. The Habs jumped on the Flyers early with a goal from Jacques Lemaire a little over three minutes into the game. Lemaire got a second goal of the opening frame in the final few minutes to give Montreal a 2-0 lead heading into the second period. They outshot Philly 14-8 in the first. Early in the second period, the first of two ejections in the game occurred. Defenseman Gilles Lupien of Montreal cross-checked Philadelphia’s Bill Clement and it was deemed that Lupien intentionally injured Clement. He received a five-minute major for cross-checking and a 10-minute game misconduct. The Flyers responded later in the second period with a goal from Ross Lonsberry, his fourth of the tournament. Then, with just under three minutes left in the period, Doug Jarvis scored third goal of the tournament to reinstate a two-goal lead for the Habs. The second ejection of the game happened at the 4:33 mark of the third period when Dave Schultz was given a five, ten and a game for cross-checking. Both of the five-minute majors were killed off entirely by the respective shorthanded teams. Late in the third, Montreal put the game on ice with two goals in the final six minutes of the game. Yvon Lambert scored his fourth of the tourney and then just 40 seconds later, Jarvis netted his second of the contest to help close out a 5-1 win for the Canadiens. So, the Habs take the early edge of the Flyers and will look to take a 2-0 series lead on Wednesday. Meanwhile, tomorrow night, the other Semifinal matchup will begin with Game 1 between the 6th-seeded ’84-’85 Edmonton Oilers and the 15th-seeded ’00-’01 Colorado Avalanche! 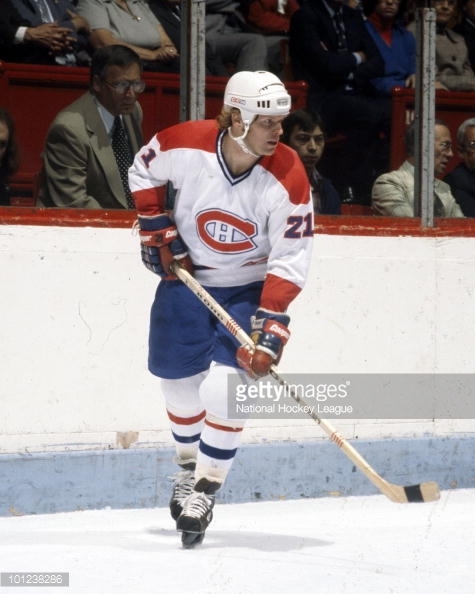 This entry was posted in Semifinal, Ultimate NHL Playoff and tagged Bill Clement, Dave Schultz, Doug Jarvis, Gilles Lupien, Jacques Lemaire, Larry Robinson, Montreal Canadiens, Philadelphia Flyers, Ross Lonsberry, Ultimate NHL Playoff, Yvon Lambert. Bookmark the permalink.